Get your beauty sleep or just look gorgeous lounging around in ultra-softness. 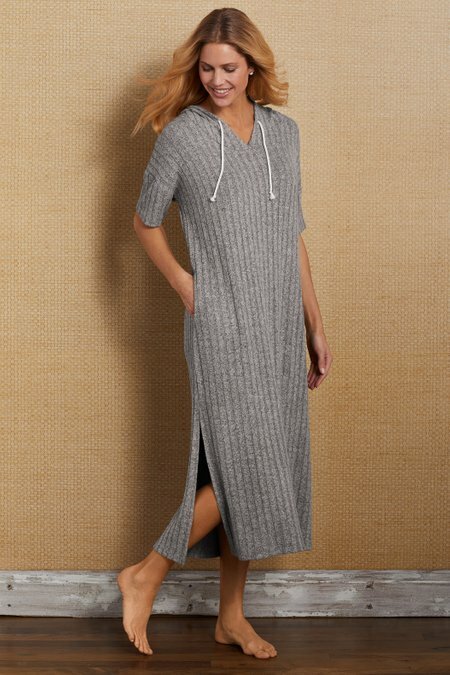 This vertical ribbed cover-up has a drawstring hood, scoop neck and on-seam pockets. Generous side slits enhance the flowing drape.